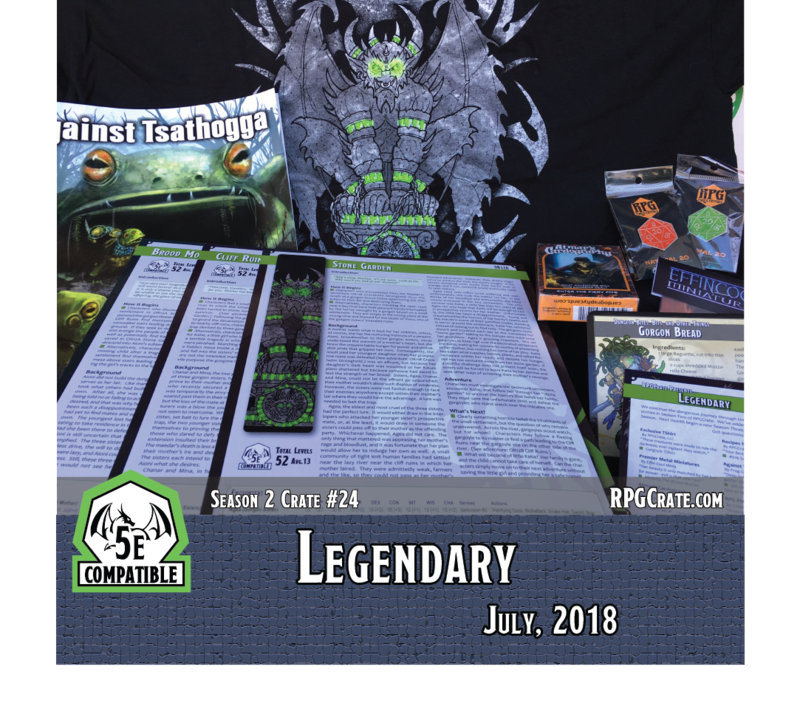 "We continue the dangerous journey through time and hopefully a gorgon's demise, to the final chapter of the stories in Season Two of RPGCrate." We've added several extra items this month in celebration of the end of a Season. Next month begins a new Season Three, but for now, enjoy the treasure we've procured for you. Atmar's Cardography is a 52 card set of fiery pits and they can be arranged in any format you wish, or you can play through each one, adding a room as you go and use the downloadable .PDF module available on their website. Instructions are included in the deck of cards. We've also added a new Recipe for Adventure and two RPG Pins in the RPGCrate green and orange colors!